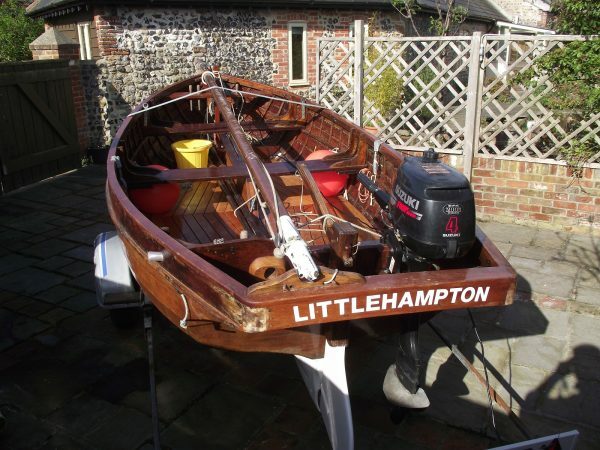 Built by R. Lower and Sons of Newhaven around 1950 as a local inshore fishing boat. 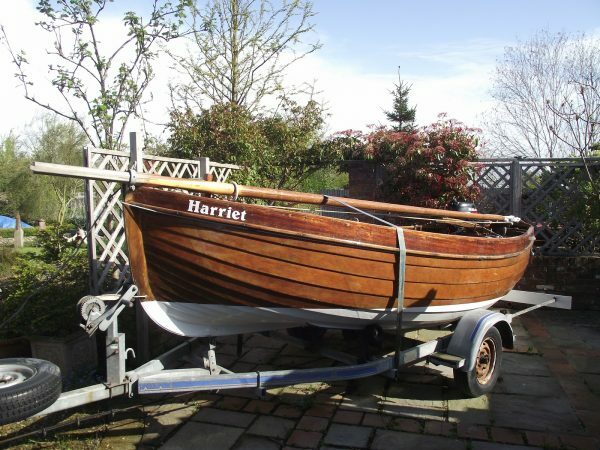 This yard was well known for building very seaworthy fishing boats and this particular boat spent her working life hauling nets off the Sussex coast. 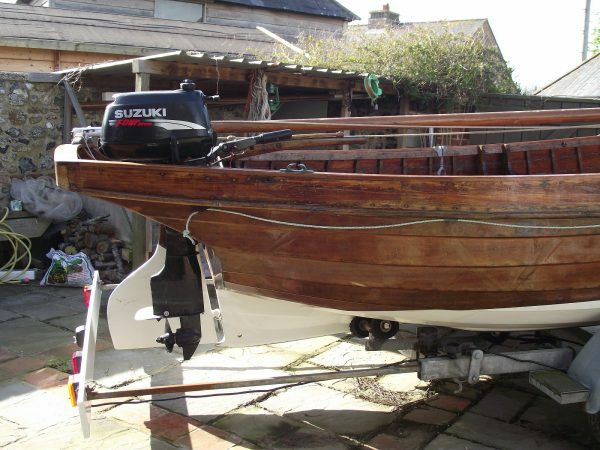 Bought by the present owner more than 20 years ago, she has been maintained to a professional level and used for angling in the summer months as well as be trailed to Scotland and the West Country for summer adventures. Major refit in 2004/2005. 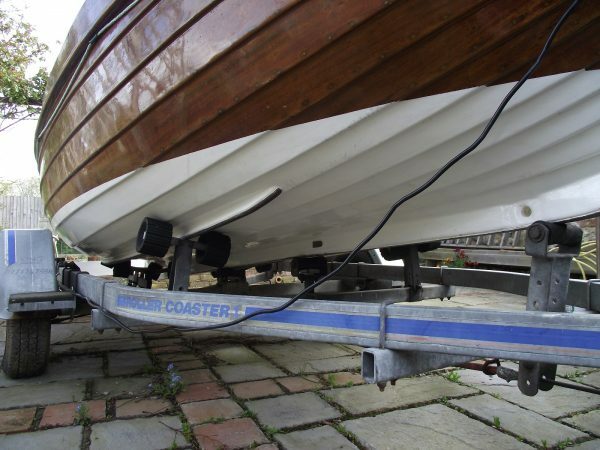 She comes with a reliable road trailer and can easily be towed behind a family car making her an easy and cheap boat to sail, giving you access for different cruising grounds across the country. 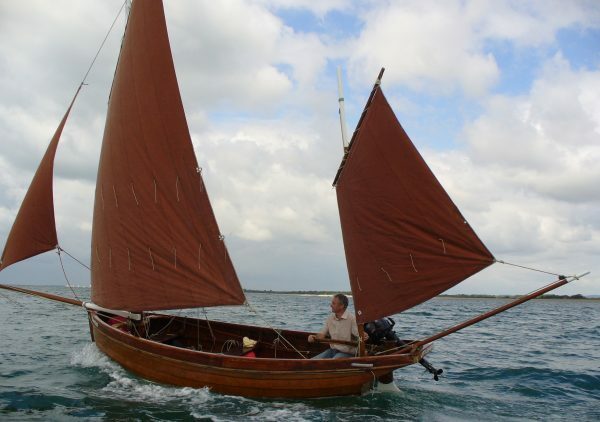 All masts and spars can be stowed within the length of the boat for transport. The owner has sailed her extensively and found she can be easily handled with a variety of possible sail combinations depending on how the boat is being used. Clinker planked in mahogany all copper rivet fastened to steamed oak timbers. Lute stern allowing the outboard to be carried safely and increasing beam at the aft end. Bluff bows give her buoyancy forward and make her a good open sea boat. 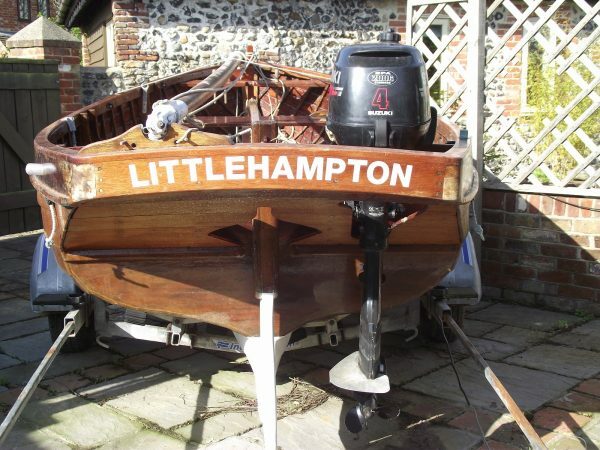 Heavy thwarts with large grown oak knees give stiffness to the open hull. Solid varnished oak centreboard case with a galvanised centreplate, raised with a tackle. 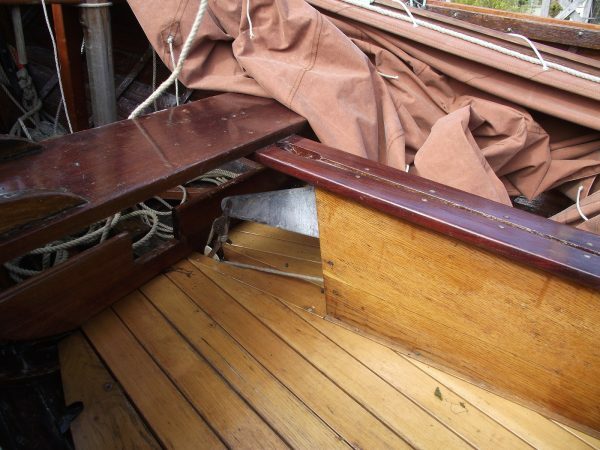 Oak gunnel and heavy sheer strake give stiffness to the hull. 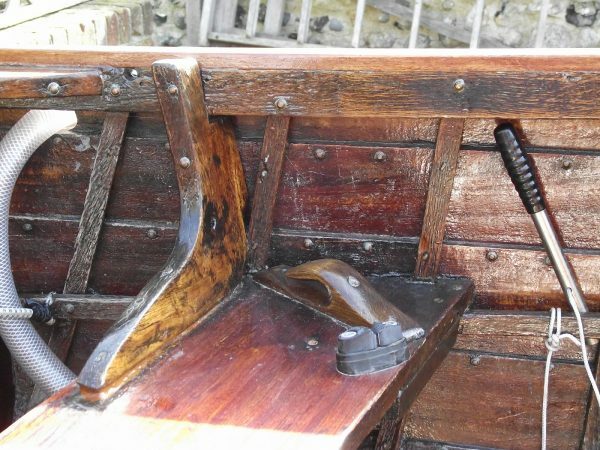 Single rowing position with rowlock holders on the gunnel. Lugsail yawl rig on solid varnished wooden masts. 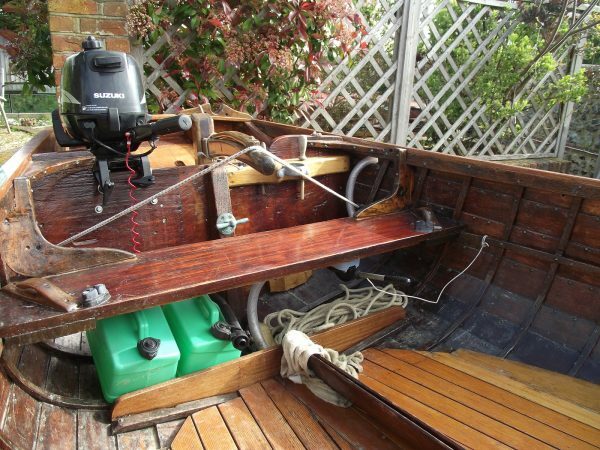 Varnished wooden yards, bowsprit and bumpkin. 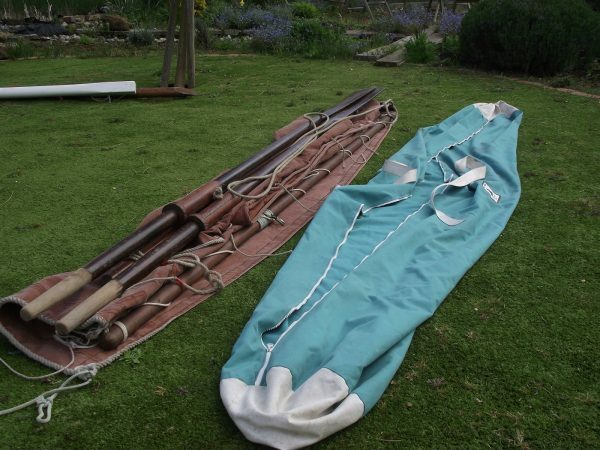 Standing lug mizzen and dipping lug mainsail. 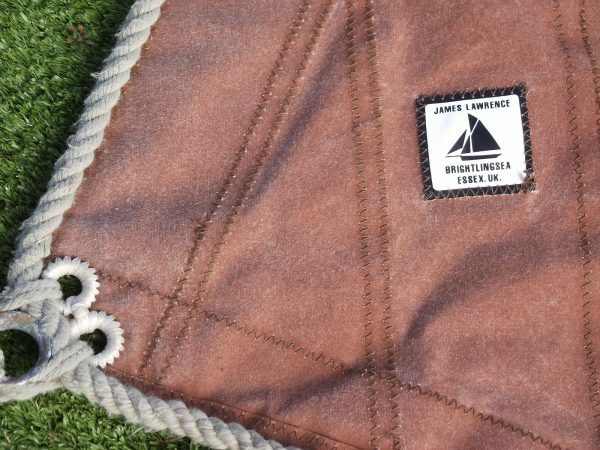 Sails from James Lawrence and new in 2004. Hand stitched tan Clipper Canvas, easy to handle and look just perfect. 2 rows of reefing lines. Mainsail, mizzen and jib. Running rigging is all traditional 3 strand. Suzuki 4hp four stroke outboard engine mounted on the transom. Engine can be lifted when sailing. When under power the rudder can be used as normal for steerage. Manual start with integral fuel tank.